It’s that sweet spot between spring and summer, Washington DC, and that means it’s time for Cinco de Mayo’s most debaucherous bar crawl. Why have one fiesta when you could keep the DC party going all day long with your drink of choice? You know the drill with Lindy’s epic bar crawls – no cover at any of the participating hotspots and non-stop drink specials to keep you fueled for a solid tequila tour. The only thing you have to worry about is how much salt you want on the rim of your margarita. Sip whatever cocktail you want to make your staple this Cinco de Mayo. Let’s embrace the opportunity to rage in the sun and booze through nightfall. 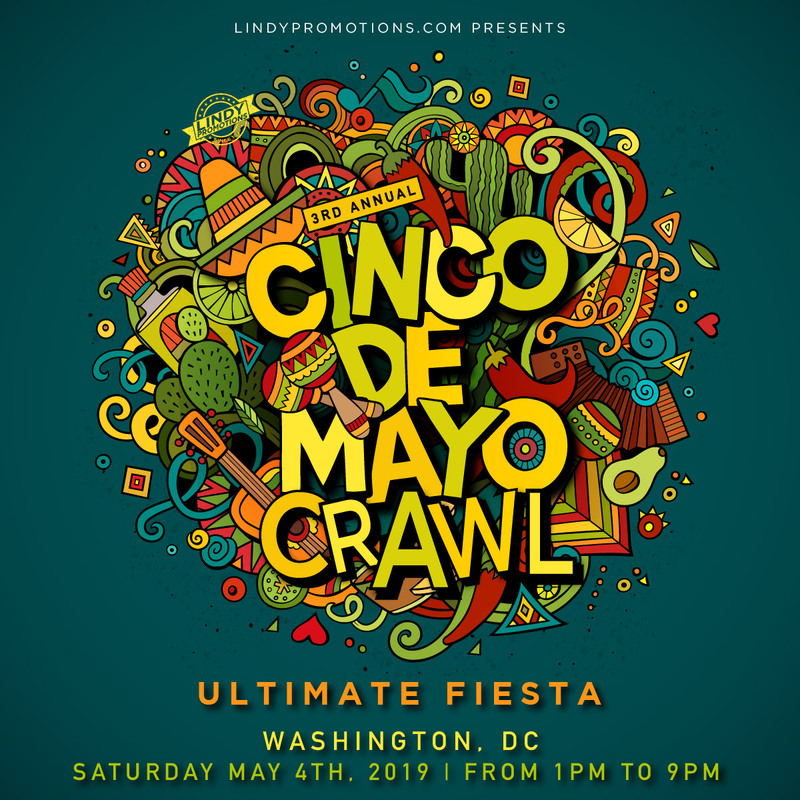 It’s time for spring and salsa, DC, don’t miss the Cinco de Mayo bar crawl! It’s as simple as always – grab your sombrero and cohort and meet at the registration point between 1-6pm. Pick up your wristband and map and get ready to soak up all of the agave and lime you can, DC! Crawl Route: There is no specified crawl route; it is completely up to you to choose where you’d like to crawl! Use your Lindypromo.com map to determine your route and bar hop at your leisure. Capacity Restrictions: If it happens that a bar is full, no worries, keep crawlin' - there are plenty of bars to choose from on the map. You can bar hop back later in the crawl. Please note participation times of each bar.